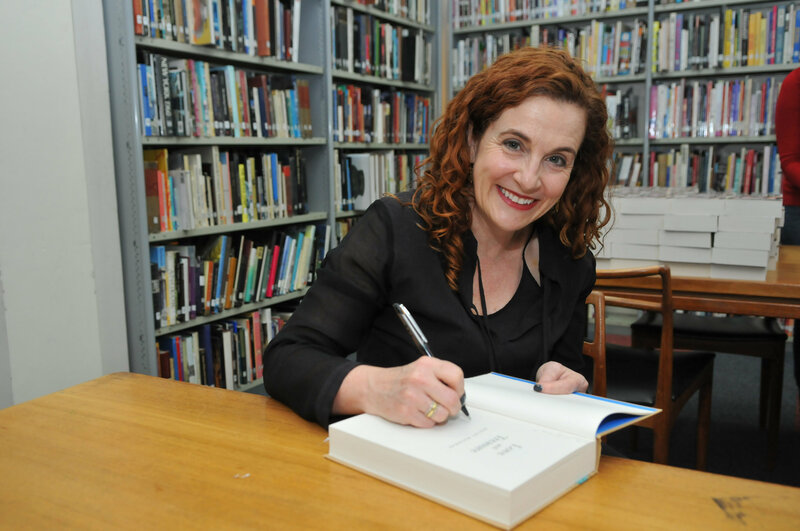 At a time when many women feel pressured to “do it all now so you can have it all later,” Ayelet Waldman offers a refreshingly alternative narrative; she launched a successful literary career after quitting her job as a public defender to raise her four children. Since then, she has published 11 novels (including her most recent book, Love and Treasure) as well as The New York Times bestseller Bad Mother: A Chronicle of Maternal Crimes, Minor Calamities and Occasional Moments of Grace. She spoke with us from her home in Berkeley, CA about how she battles her inner critic, the importance of choosing a feminist partner, and the virtues of being stubborn. SP: When you quit your job as a public defender, were you worried at all that you would be following in your mother’s footsteps and making the mistakes she had been determined to save you from (e.g. career stasis)? If so, how did you decide to take that leap anyway? And, once you made the leap, how do you think you managed to avoid falling into the same trap? AW: My husband is a feminist. My father is not. That’s really what it came down to. SP: How does that play out on a daily basis? How do you and your husband divide the tasks of working, parenting, and taking care of the house? Especially when your children were very young (before they were in school), how did you ensure that both you and your husband had time to yourself, time to further your career, and time together? AW: My husband does all the cooking. We have a regular cleaner who does the heavy lifting. I do all the “worrying,” and scheduling. We spell each other, sending one another off on writing retreats to get the focus and time to really delve into work. We are absolutely committed to egalitarian parenting. It would not work otherwise. As for childcare, we had a nanny for the first child because I was a lawyer and had a rigid schedule. We had no help for the 2nd, because I didn’t believe at the time that my fledgling literary career justified one (that’s a whole other topic). Then we had a nanny for numbers 3 and 4. SP: Do you feel that you faced unique challenges in trying to build a career as someone who was already juggling a family? If so, what helped you tackle these challenges? AW: My experience wasn’t really unique, since more of us are parents than not. We all need flexibility and autonomy. We all need parental leave. We all need a workplace that understands that family is at least as equally demanding and important as work. SP: So how do you divide your time between writing and parenting? What does a typical day look like for you? AW: I wake up in the morning with my kids, then I work until it’s time for them to come home. It’s a very luxurious schedule, frankly, because I’m free to focus on them when they are home. I do travel a lot for work, and that’s hard on my kids, especially when my husband and I travel together. But the fact that we are both so very available when we are home compensates for the travel, I hope. SP: You write that after you quit your job but before you published your first novel, you “lost the sense of self that had kept you company” (Bad Mother, pg. 50). If you could speak to yourself during that time, what advice or encouragement might you offer? AW: That part of me is still so very present. Every single time I sit down to write I have to beat back the voice that says I’m not good enough. It’s ridiculous. What I try to do now is just breathe and remind myself that that voice is not me, it’s just static in the air. It’s very difficult to give advice to the depressed and demoralized, because nothing they hear makes any impact. The only real advice you can give is to get therapy. SP: Do you have any advice for women in general who are trying to figure out the timing of having children and building their career? AW: There are so many options. Some might tell you to have babies early, knowing that by the time they’re 5 or so you will be able to bear down more intensely on your career. The problem with that advice is that you will certainly pay a professional price. Others might tell you to freeze your eggs while you’re young because so many women who wait past 40 have fertility issues. The only advice I have is that there is no one path. All things are possible, and all things are challenging. One thing I will say: choose a partner who is a committed feminist. Being a single parent is easier than being with an undermining, unsupportive partner. SP: You also write “jugglers invariably drop balls, and no matter the persistent criticism of the Bad Mother police, balls do bounce. When they fall, all you need to do is pick them up and throw them back up in the air” (Bad Mother, pg. 41); what helped you to do this? Thank you, Ayelet, for sharing with us some of the decisions and strategies that go into juggling work and family on a day to day basis. Your story is such an inspiring example of how to redefine yourself and grow a career after starting a family. I can’t wait to dive into Love and Treasure! For more advice–career and otherwise–from women who have charted their own paths, follow @shespoised on twitter, or like She’s Poised on Facebook (and select Get Notifications from the drop down menu).